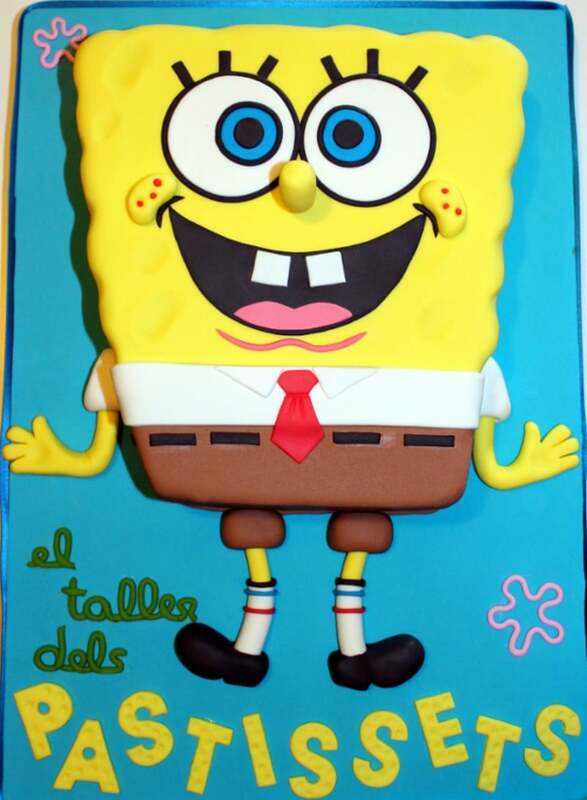 Fun cake designs and easy to follow tutorials on how to make a fantastic Spongebob cake! Spongebob Squarepants is a long time beloved cartoon character who lives in the sea. He resides in the ficticious city of Bikini Bottom with his pals Patrick, Squidward, Gary and several others. The show became popular among kids and adults alike when it premiered on Nickelodeon in 1999. 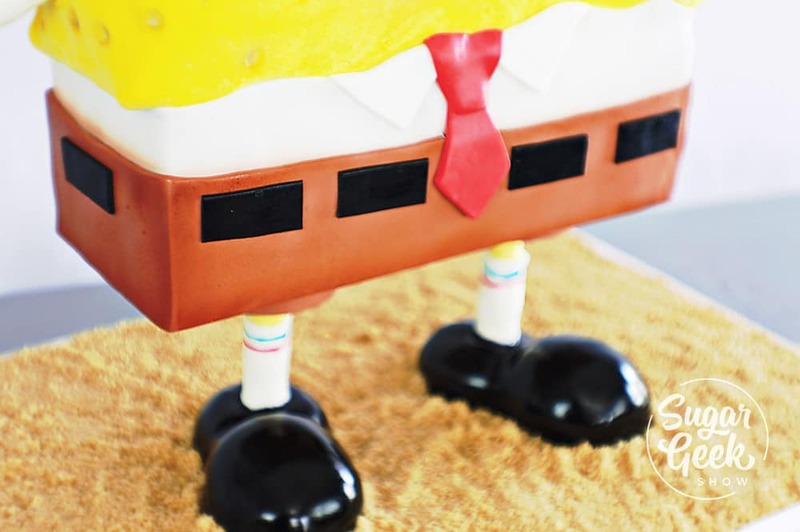 Whether you’re a fan of the cartoon show or not, you have to admit there are some pretty spectacular Spongebob cake designs! 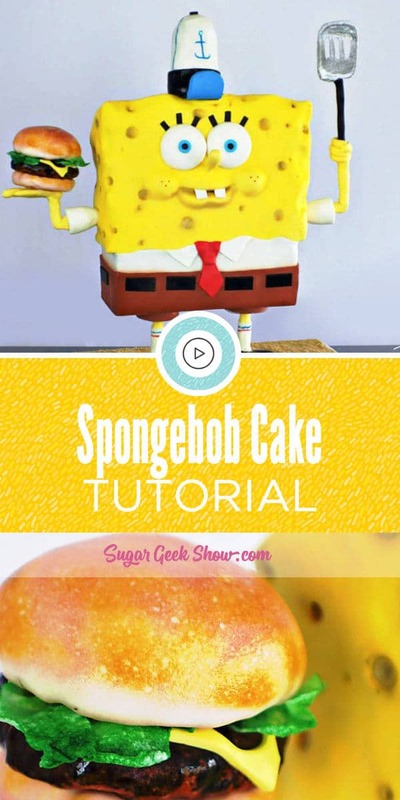 Right here on Sugar Geek Show we have our very own fantastic standing Spongebob Cake tutorial for Premium and Elite Members taught by the amazing Jessa Coline of Abstract Edible Arts! 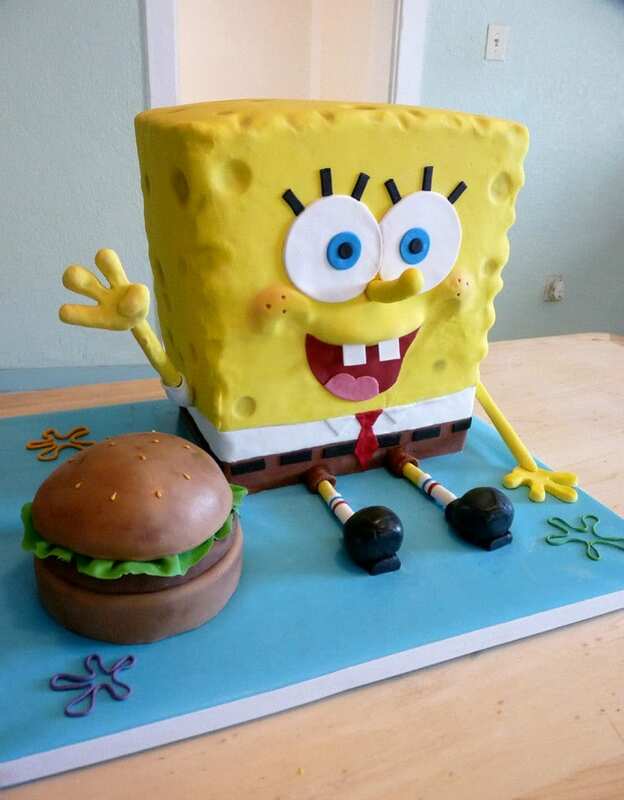 If you’ve got some experience under your belt with cake decorating and are looking to wow, this is the Spongebob cake design for you! 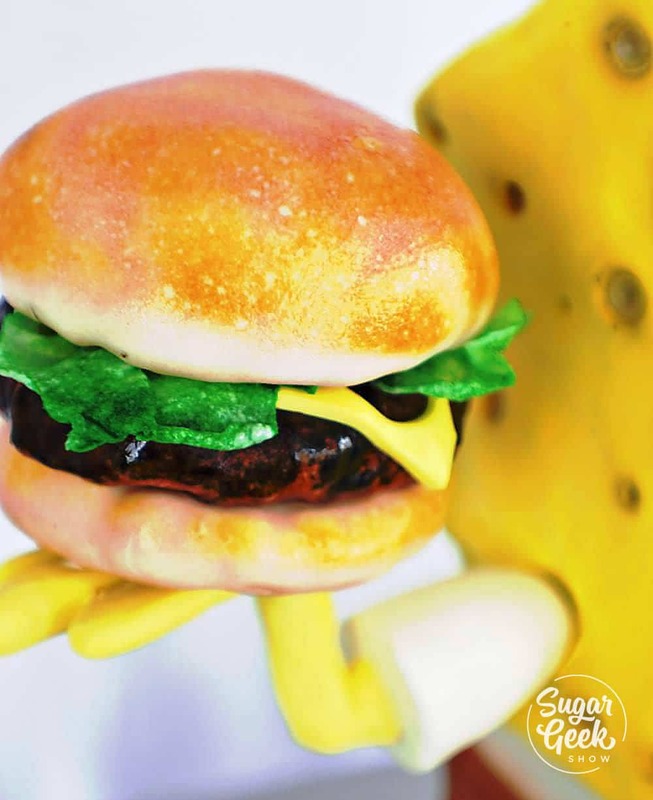 It’s jam packed with incredible detail and amazing techniques to create the overall spitting image look of Spongebob Squarepants complete with a krabby patty! The structure of this cake can be super intimidating but Jessa breaks it down so that anyone can do it! It looks as though Spongebob literally walked right out of the TV screen doesn’t it? Character cakes can be really hard to make look exactly like the character but Jessa knocked it out of the park and shows you just how to do it. Hand painting, airbrushing, modelling work and more really bring the details to life and give them that extra bit of realism and dimension they need to stand out among other cakes. I especially love his adorable little outfit and the details in his striped socks and shiny black shoes! The krabby patty is just as impressive in my book! Look at that detail! Patty, cheese, lettuce and a perfectly toasted bun. When you bite into this burger though you’ll be tasting nothing but sweet. If you’re interested in making a super realistic giant burger cake we have that here on Sugar Geek Show too. 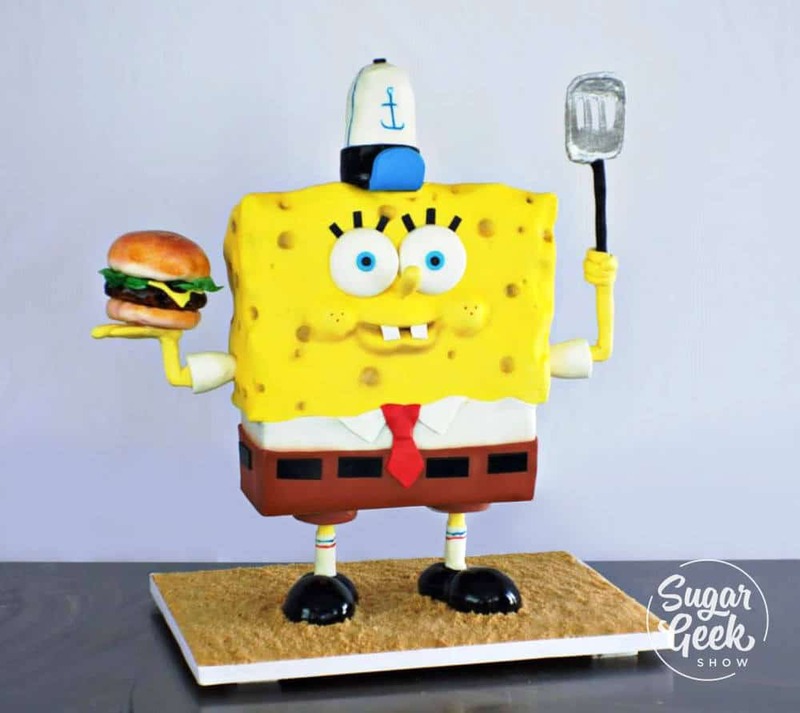 While we are of course partial to our own Spongebob cake design, there are certainly lots of other Spongebob cakes worth checking out! Here are some of our favorites. The two dimensional work on this cake is absolutely fantastic! I want to say it looks like outlining and flooding with royal icing just like you would do on a cookie. It gives it such a unique look and it really pops. If you’re not quite sure about attempting a standing Spongebob cake just yet then a sitting design like this cake would be perfect! Add in the details and you’ve still got a super cute cake that emulates the character perfectly. are also really well done! This is another great design idea for anyone looking for something other than a full on Spongebob cake. 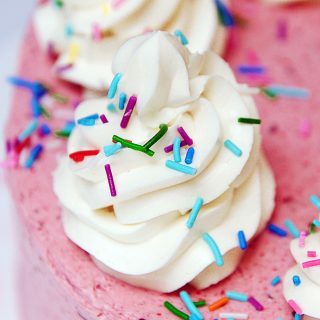 Delicious, rich and easy buttercream frosting recipe that anyone can make. This is not a crusting buttercream. It is meringue based so it has a slight shine and chills nicely in the fridge. Takes 10 minutes to make and is fool-proof! Light, fluffy and not too sweet. 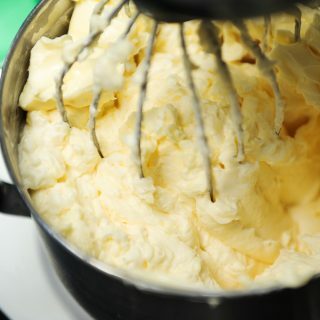 Add in your butter in chunks and whip with the whisk attachment to combine. It will look curdled at first. This is normal. It will also look pretty yellow. Keep whipping. 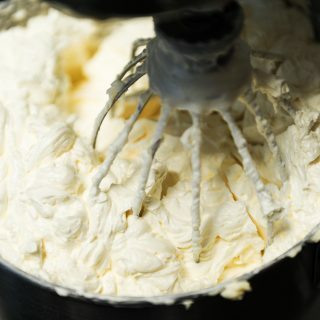 Let whip on high for 8-10 minutes until it's very white, light and shiny. 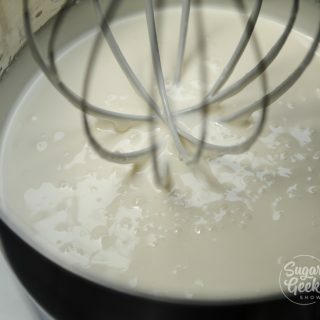 Switch to a paddle attachment and mix on low for 15-20 minutes to make the buttercream very smooth and remove air bubbles. This isn't required but if you want really creamy frosting, you don't want to skip it. 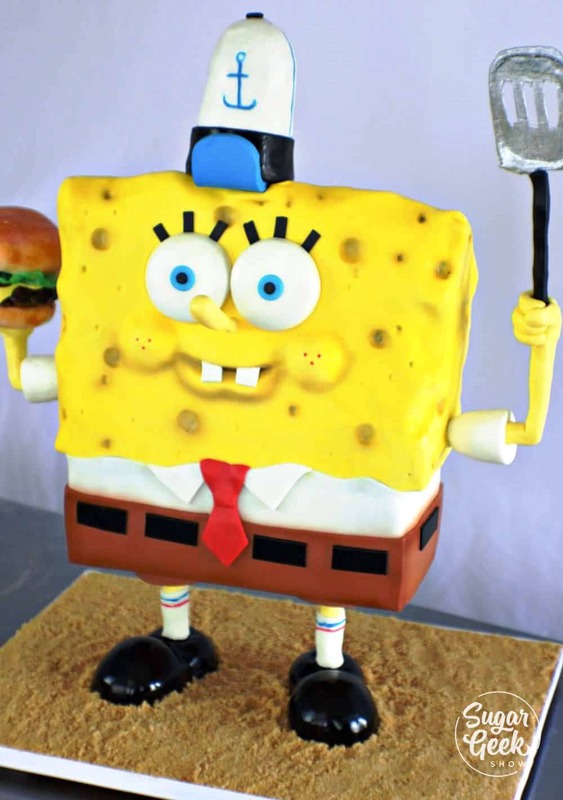 Lots of people are looking for a simple buttercream Spongebob cake design and I have found a fabulous one from the YouTube Channel LeNsCake Kdi. She shows you how to do a simple buttercream transfer for Spongebob’s face, add in some spots and a piped border and you have a really cute and very simple buttercream Spongebob cake. Another fun way to get a buttercream Spongebob cake design is with this great tutorial from My Cupcake Addiction for a pull apart cupcake cake! People seem to love these pull apart cupcake cakes and Spongebob’s shape really lends to the design easily making for a cute party dessert! I love me some Ann Reardon from the very popular YouTube Channel How To Cook That so I couldn’t pass up featuring this fondant Spongebob cake design she has done. It is so cute and cartoony and as always her tutorial is super easy to follow from beginning to end! 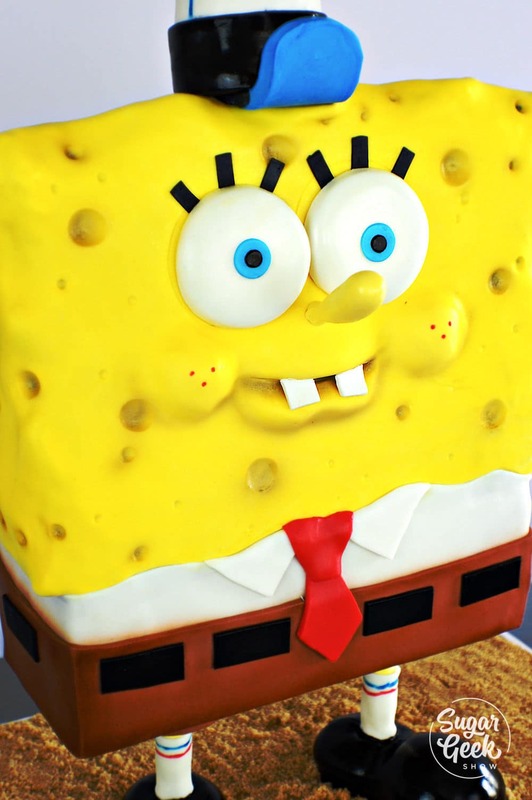 If you’re looking for a simple non-standing, non-sitting Spongebob cake design with fondant, this is a super easy to follow free tutorial on how to make all the fantastic details for a Spongebob cake from the popular YouTube Channel Cakes StepByStep. 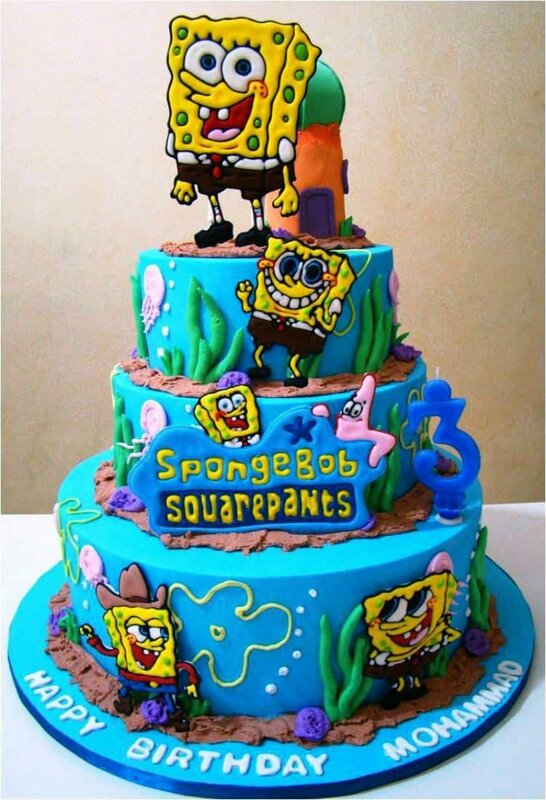 If pictorials are more your thing I found quite possibly the best pictorial I’ve ever seen on the internet for a very well done Spongebob cake design! It’s so clean and perfectly executed and she shows each step with clear photos and written instructions. She shows everything from working with a photo template to filling, frosting, covering the cake and adding all the details. Click the photo to go to the full tutorial! 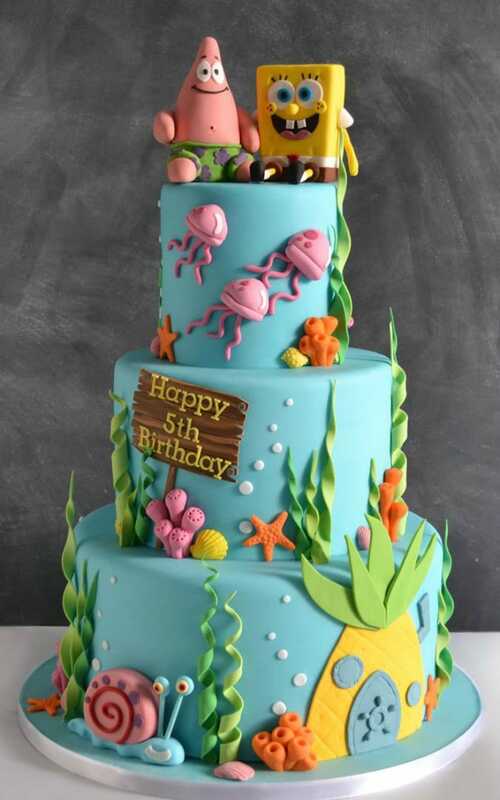 Why not make Spongebob and his friends on a smaller scale to put on a tiered cake design? Here are some great tutorials on how to make some adorable Spongebob cake toppers out of fondant from the YouTube Channel Just Cake It. If you’ve been thinking about making a Spongebob cake whether it be for a client or a family member, I’d say this post has you covered on ideas, designs and techniques! No matter what combo you come up with it is sure to be cute and we would love to see it! 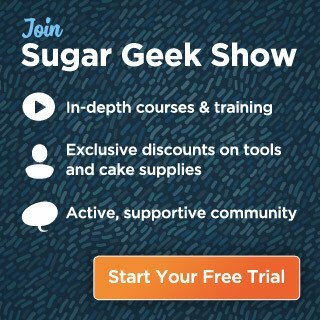 Share your photos on the Sugar Geek Show Facebook Page for everyone to see!